If you're a regular reader of my blog you'll know about my obsession with pinterest. One board I seem to be constantly using at the moment is my 'beauty tips and tricks' board where I repin lots of little beauty-related tips and tricks. So many of these have really come in handy so I thought today I would share a few of the tips I've found most helpful. I have honestly found this tip to be the most helpful and I really really wish I had known about it sooner. It's a little tip that only takes about 5 seconds but makes such a huge difference to how your eye makeup ends up. Before you put your mascara on, wipe the wand on a piece of tissue or a cotton pad to wipe off any excess product. 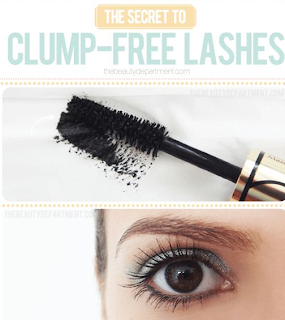 This really helps you to achieve clump-free lashes, and it also helps to give your lashes lots of volume. Before I discovered this tip I always applying my concealer under my eyes in a similar way I applied it to conceal blemishes. I'd apply a little collection of dots under my eyes and then I'd just blend it in. But I've learnt that it's better to apply under eye concealer in a triangle shape (like the image shows) as it helps to give saggy eyes a lift and can make you look more awake. 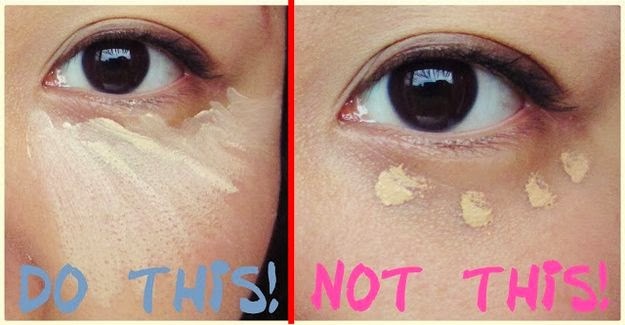 This tip really works and if (like me) you always have dark circles under your eyes, it's a lifesaver. Tip 3 - Making your eyeshadow really stand out. 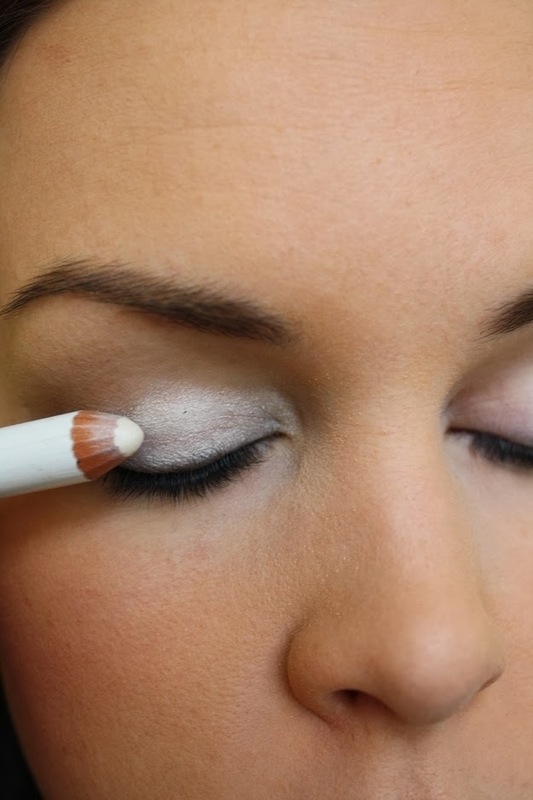 I hadn't even considered this before I saw this tip on pinterest but if you colour your entire lid with white eyeliner before you apply your shadow, it really helps to make the eyeshadow colours pop, and it makes them seem brighter. I also found that it helped to make my eyeshadow last longer, which really helps. I hope these tips are helpful. If you want to see any more posts like this in the future, just let me know. Have you got any beauty related tips and tricks? I need to try the second tip for my dark circles! The second tip is definitely a life saver for me and my dark circles lol, xoxo. These are fantastic - it's rare I hear a tip I haven't heard before, and #2 definitely makes the list. Off to try it now!